The Psychological Toll of Entrepreneurship – Kathy J. Marshack, Ph.D. When you think of a successful entrepreneur that you admire, what traits come to mind? Creative, strategic or tenacious? How about depressed or anxious? Successful entrepreneurs are often viewed as heroes. We marvel at the speed at which they grow their businesses. They push themselves beyond physical and emotional limits. However, this can be a problem, because before they make it big, many experience periods of deep anxiety and despair. This issue is thoroughly examined in an article by Inc. Magazine. If you are thinking of starting a business or are currently a business owner, I encourage you to read the article. 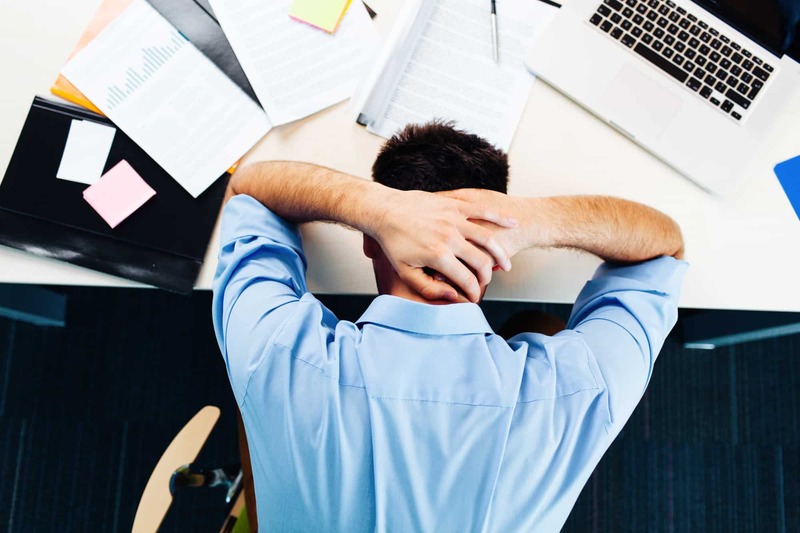 It revealed the hidden, internal struggles of entrepreneurs because of something called “impression management” or the idea of “fake it till you make it.” Business leaders avoid showing any sort of vulnerability. That is, until recently. More and more entrepreneurs have begun speaking out about their feelings and experiences in order to combat the stigma surrounding depression and anxiety. Why is it that some of the most creative, energetic, driven people suffer with these debilitating issues? The article pointed out something I’ve observed for years as a psychologist, the very qualities that make someone a successful entrepreneur can also make them vulnerable to mood swings and high emotional states. Those states can include depression, anxiety, feelings of worthlessness, and lack of motivation. Also, because entrepreneurs are driven to succeed, it is easy for them to push through tough times without pausing to evaluate if their negative feelings are part of a bigger issue that needs attention. Additionally, the uncertainty of running a business can lead to trouble. Startups face a high risk of failure. Entrepreneurs also must wear many hats, playing different roles within the company. Often they deal with setbacks as they try to compete in an increasingly crowded market. The demands of owning a business can lead some entrepreneurs to neglect their physical health as well. Not exercising, eating too much or too little, and not getting enough sleep are common issues. Even though entrepreneurship can be a stressful, wild ride, you can maintain a healthy balance! Here’s what I recommend to my entrepreneurial clients – stop and honestly evaluate how you are feeling. Do you sense an imbalance? Then it is time to take a timeout. Take time for a hobby, your friends, and especially your family. Perhaps take a vacation, or even just a long weekend. Whatever you need to do, do it immediately. Business success is wonderful, but not at the expense of your mental and physical health. Stress (and the accompanying negative symptoms) comes when you allow any part of your life to become out of alignment. If left unchecked, other areas of your life are affected, producing more stress. In order to keep all parts of your life in healthy productive alignment, you must attend to, and take care of, the whole person. That means caring for your mind, body, and spirit. Do not let your work define who you are. It is something you do, not your identity. It is important to feel successful in areas outside of work. Don’t let a business failure define you either. Life is a constant process of trial and error. Don’t exaggerate and become overwhelmed by a “failure.” Instead of focusing on what’s wrong in your life, pay attention to what is good. If you are feeling overwhelmed, anxious or depressed as you navigate the complexities of entrepreneurship, and you live in the Portland, OR/Vancouver, WA area, please contact my office to set up an appointment.